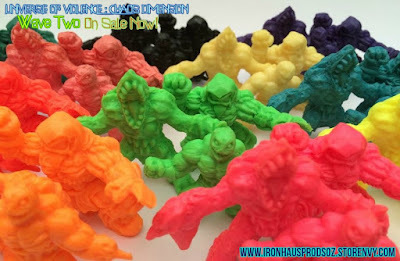 Ironhaus Productions OZ: UOV:CD WAVE TWO figures on sale NOW!! 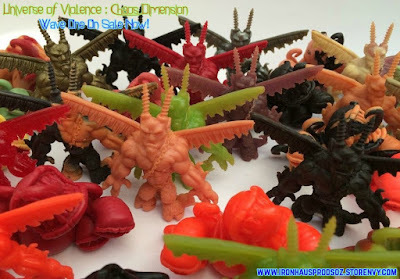 UOV:CD WAVE TWO figures on sale NOW!! The debut release of Universe of Violence: Chaos Dimension Wave Two is now live at the Ironhaus Productions Oz STORE! There's also a fresh batch of Wave One figures available too, for one last time. Take advantage of our new cheap shipping to U.S, as well as some debut specials like discount prices and freebies. As usual, you can find me on LittleRubberGuys forum so if you have any questions either post there or here on the blog. Hope to see you at the store!